Oxen resting in front of Lycurgus Johnson's store on east Main Street in Vernal before pulling a wagon back to the mill. Lycurgus Johnson's store, advertised as selling furniture, general merchandise and machinery, was located on the southeast corner of the Main Street and Vernal Avenue intersection. Standing in front of the building are Rube Collett, Mrs. Cora Johnson, Roy Colton, and other unidentified men. Lycurgus and his sons operated this store located on the Northeast corner of Uintah (now Main Street) and Vernal Avenues. Unidentified persons stand in front of the store. Unidentified people stand in front of a local business located on the corner of 2500 West and 500 North in the Maeser area. The business had been owned by Lycurgus Johnson. Looking west from the Vernal Avenue intersection. This photo was taken prior to 1915, as that was when the Coltharp building became the Bank of Vernal, the Ashley Co-op can be seen across the street from the Coltharp store. Lancaster, J., editor. Texas Ranger. (Brenham, Tex. ), Vol. 9, No. 37, Ed. 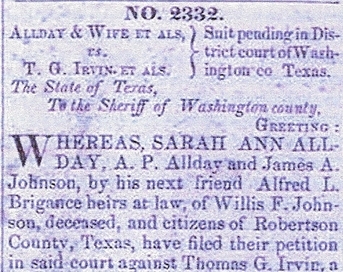 1, Friday, February 25, 1859, Newspaper, February 25, 1859; digital images, (http://texashistory.unt.edu/ark:/67531/metapth48854/ : accessed March 11, 2013), University of North Texas Libraries, The Portal to Texas History, http://texashistory.unt.edu; crediting Dolph Briscoe Center for American History, Austin, Texas. 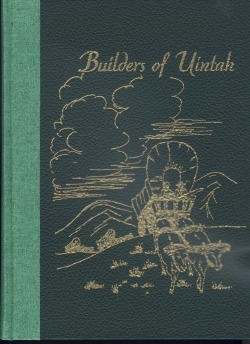 A genealogical book compiled by June Belcher Roberts showing the ancestry of Cora Myrtle Johnson and the connections to the Greer and Davis lines. Many photographs, stories, and histories are included in this book of 230 pages. 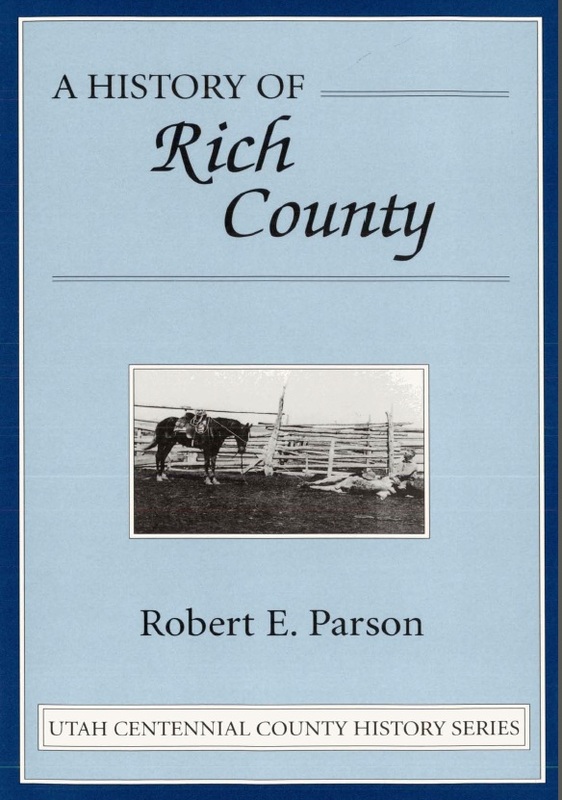 1 Burton, Doris Karren, Settlements of Uintah County: Digging Deeper, Uintah County Library, 1998, p. 41. Nancy Greer of Brennen, Tex.). Born Aug. 25, 1844, Brennen. Came to Utah in 1854. Wells, Bolton, Warren county, N. Y., pioneers to Utah Oct.
Warren b. Oct. 25, 1870, m. Minerva Wilkins; Nathan b.
Belcher; Hazel b. Sept. 23, 1886. St. Charles, Idaho, In 1864; moved to Vernal, Utah, 1879.